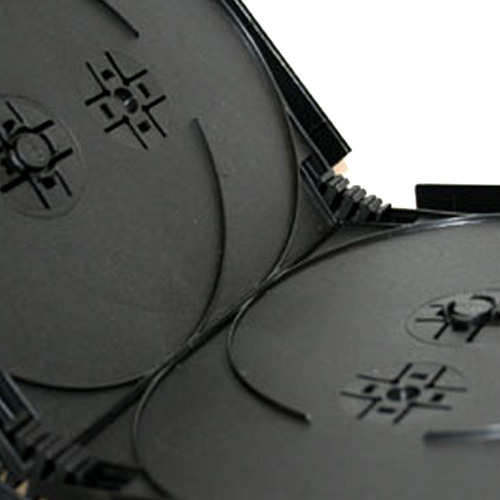 Made of high quality plastic, this black DVD case opens/closes like a book. 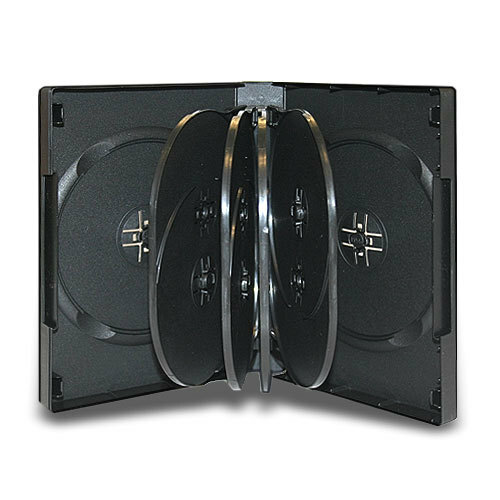 Two disc, each of them fit into each side of the case and other eight discs, two of each fit into each side of the hinged, middle tray. 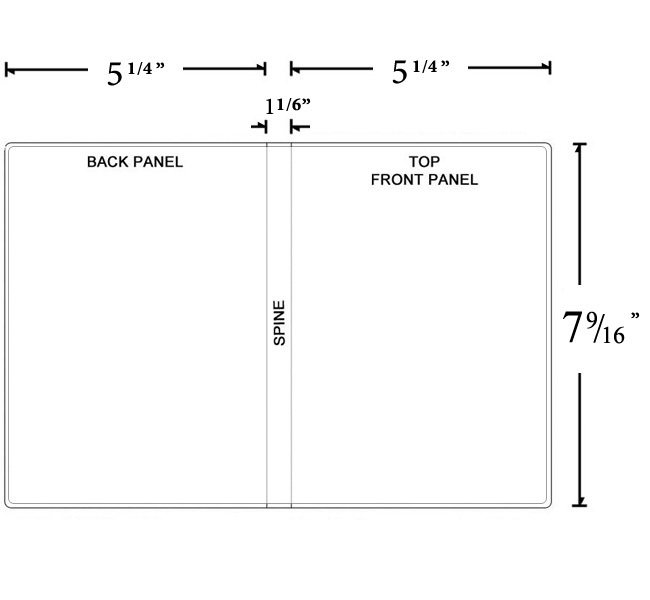 7 9/16" x 5 1/4" x 1 1/16"
These are wonderful! 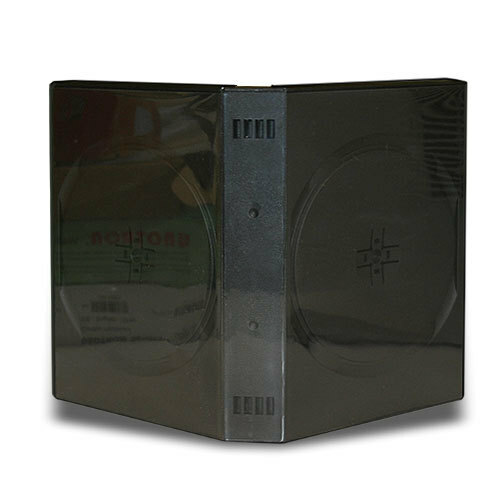 I owned the slim 2 cd cases before, and carrying all of those when you have 10+ disc's can get a little annoying so I figured I'd order these just to see if it could be better. For one, they look a lot more professional, and help carry the cases easily. I can carry about 4 of these which would be the equivalent to 20 of the slim 2 tray ones! 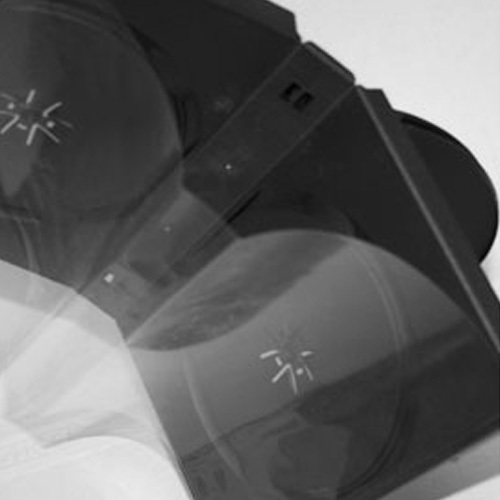 Great deal, and if you have a lot of dvd's in need for a home, get these!